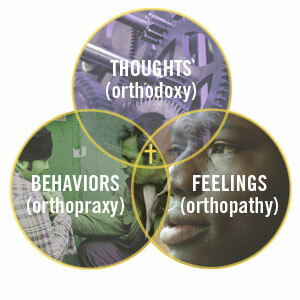 Evangelicals invest a lot of thought, energy, and time in orthodoxy, and many times orthopraxy as well. We want to ensure that we have the right doctrine and engage in the right practices and behaviors. We also spend a lot of time defending the boundaries of these as well. But somehow along the way we have grounded these in a confrontational and hostile form of orthopathy, the emotions and feelings we exhibit toward God and others. In my latest essay on the Evangelical Channel I discuss this in a piece titled "A Generous Orthopathy: Evangelicals and a Transformed Affective Dimension of Faith." Orthopathy comes form the Greek word pathos. Used in a theological context, it refers to the right forms of passions, emotions, and empathies. This is the emotional and attitudinal dimension of our faith. It is my contention that in our concern for orthodoxy and orthopraxy, we end up neglecting, even violating a balanced biblical form of orthopathy, an element just as vital to the right standards of faith as the other elements we tend to emphasize as Evangelicals. Read the piece and comment here.